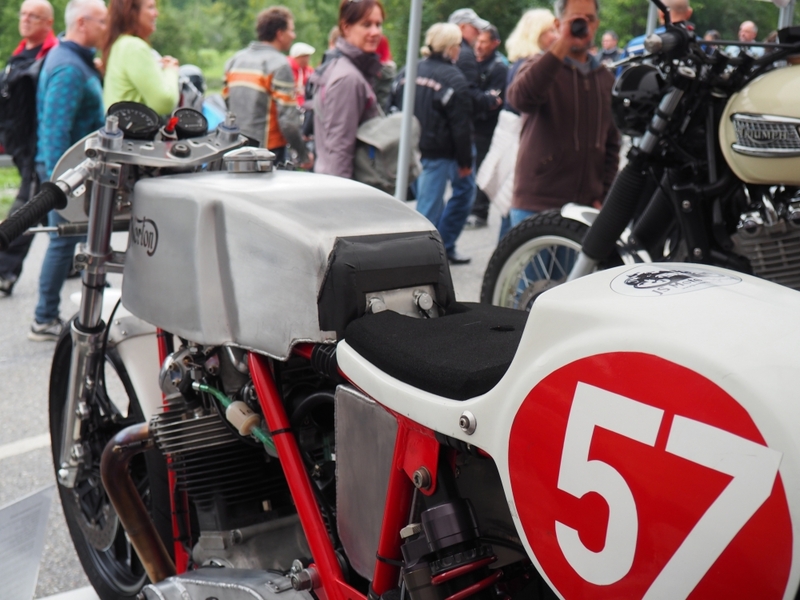 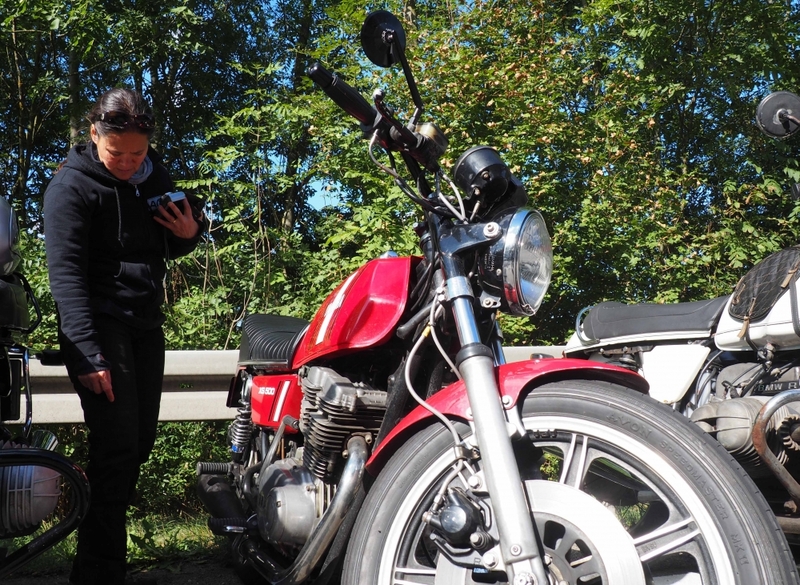 Setting off for a whole weeks touring before we will arrive at Glemseck for the 2015 Cafe racer sprint weekend. 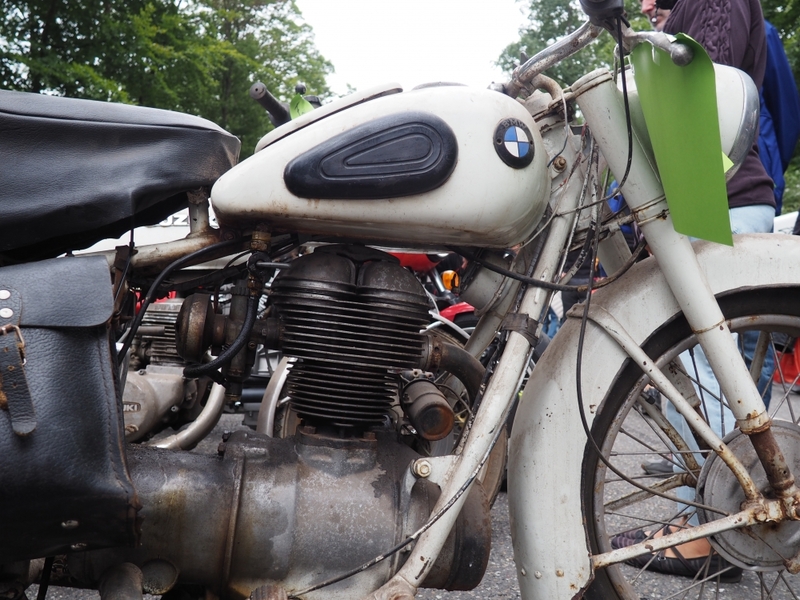 On the way we'll be visiting some of our favourite roads in the Odenwald, the black forrest and the Vosges, and museums including the Sinsheim and Speyer technical museums, the French national motor museum in Mulhouse, which used to be called the 'Schlumpf' or plain 'Bugatti' museum because of its' incredible collection of Bugattis. We'll also be seeing the Porsche museum in Stuttgart which is not only recomended for the spectacular variety of Porsche cars but also the ultra modern museum building itself. 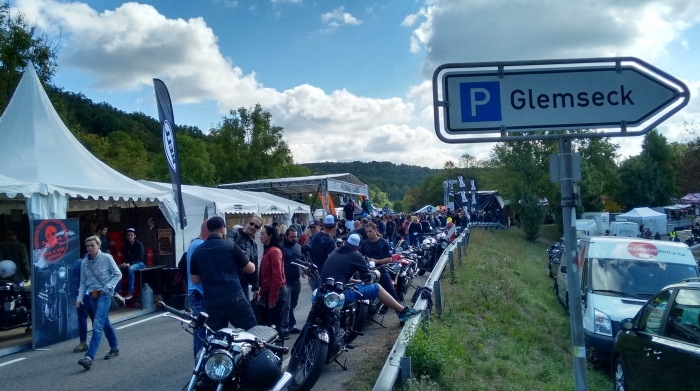 Just arriving at Glemseck is an event for itself, as we make our way past the parked bikes and thousands of visitors to get into the heart of the showground. 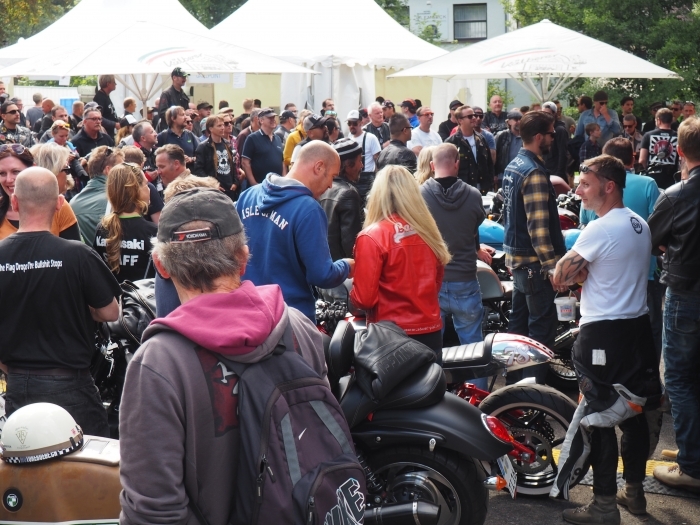 Although around 25,000 visitors were expected this year, the whole event is very well organised without any crowding or reasons to get frustrated. 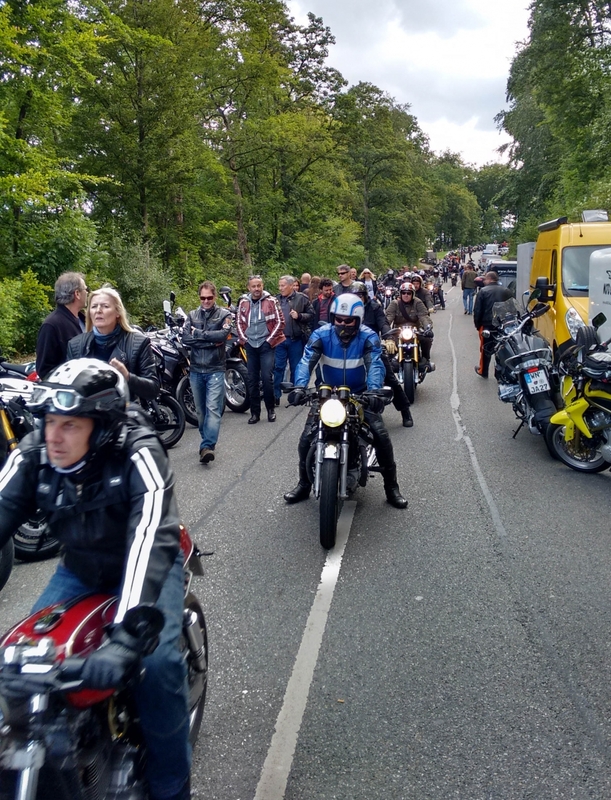 CLICK HERE to see the official Glemseck 101 website. 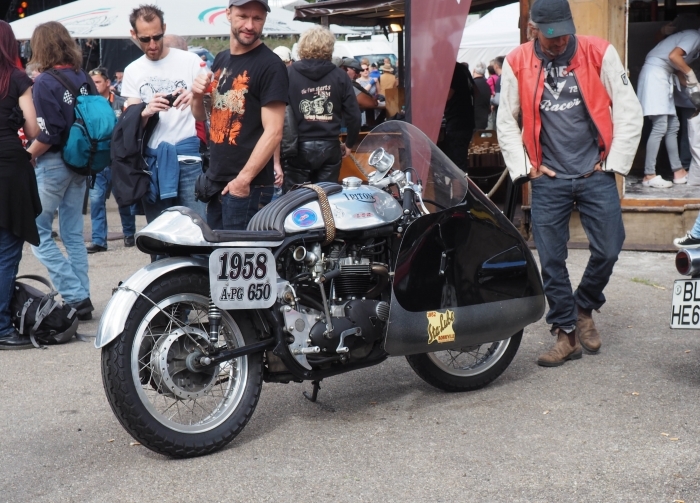 Plenty to see, just walking around the parking areas such as this sweet Guzzi custom with a springer front fork ! 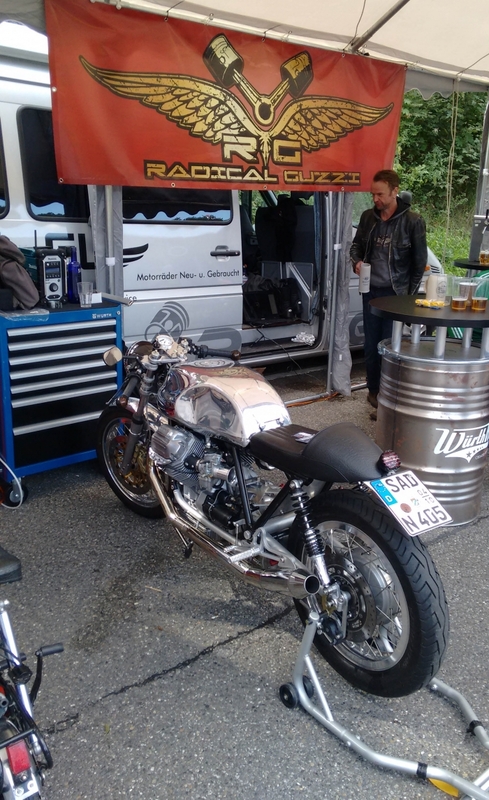 The professionals from Radical Guzzi are also here of course among the huge turn out of exhibitors from around Europe. 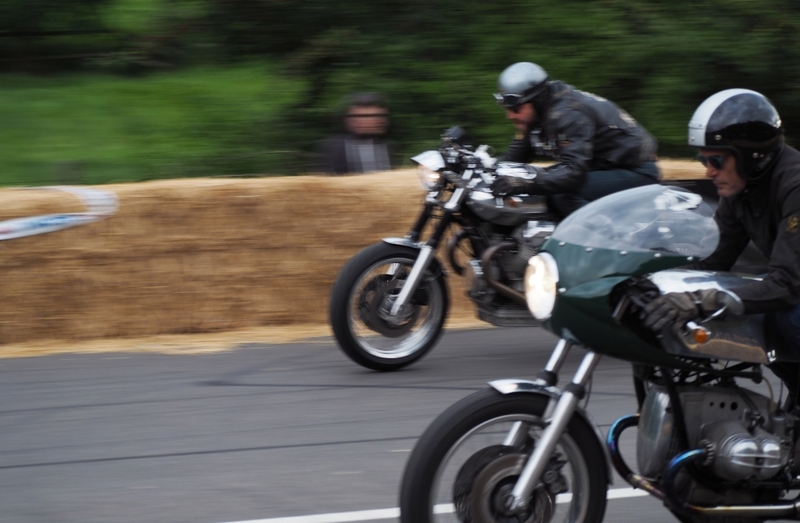 The main events are of course the sprinting, with individual competitions for Professional tuners and celebrities in the 'International' sprint, followed by the 'Classic' sprint on Saturday afternoon open to all applicants with a suitable 'Classic' styled Cafe racer. 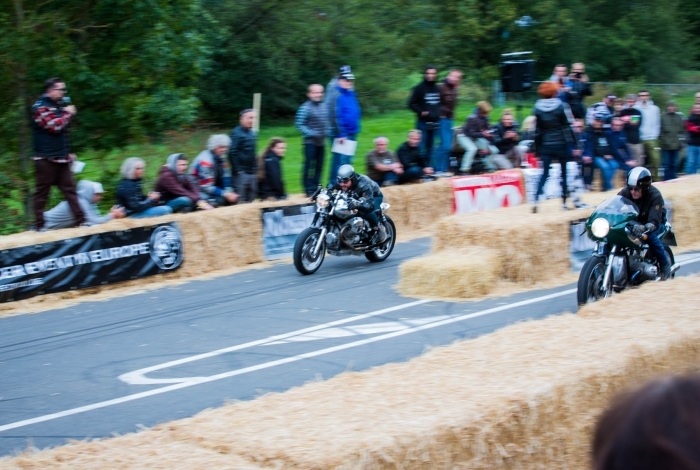 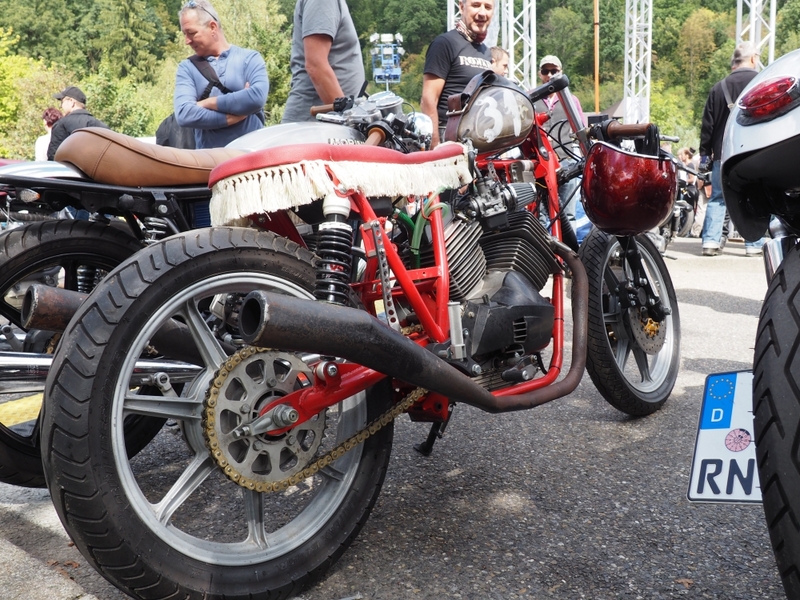 Additionally there are events for hardtail bikes: 'Starr Wars' (Starr meaning rigid in German), a 50cc sprint, France vs Germany which is not to be taken too seriously and finally a Classic sprint for all bikes up to 1980. And thanks to main sponsors Triumph providing an excellent grandstand this year, evrybody can spend literally hours watching the entertainment. Typical Guzzi vs BMW sprinting and these guys (and girls) are all out for glory. 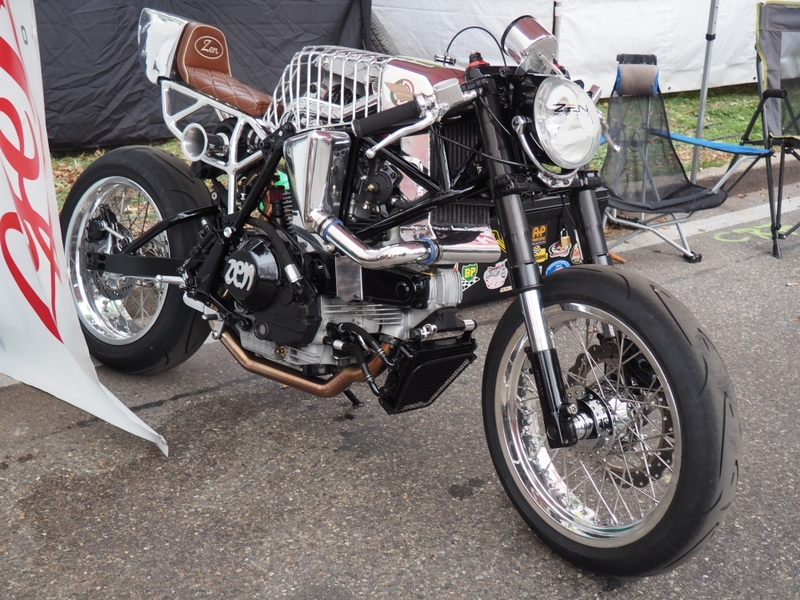 Cool boxer sprinter that was being used to the full during the Classic sprint. 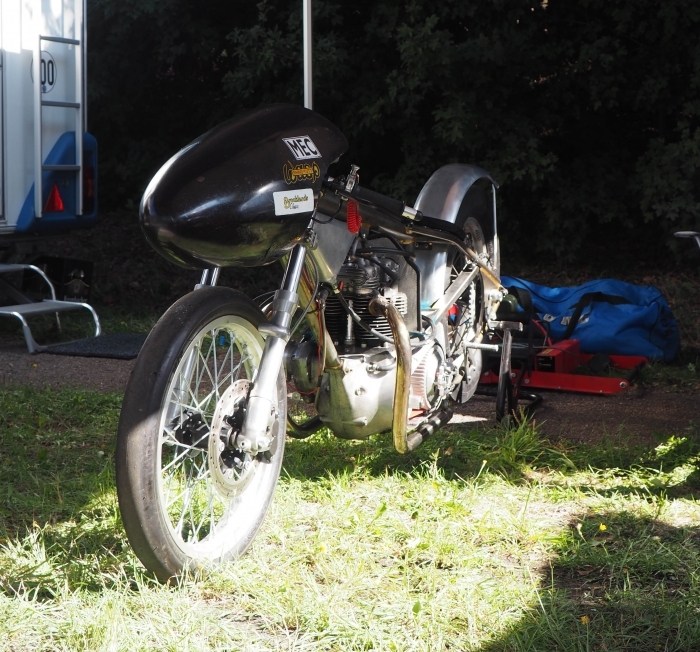 Ready and waiting for the hardtail class to start. 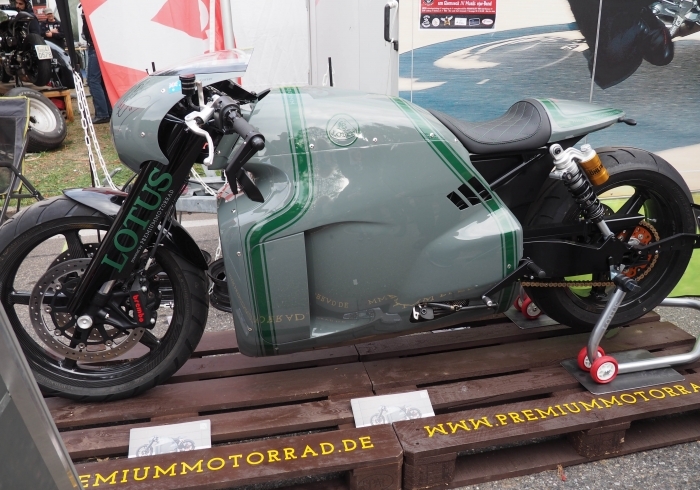 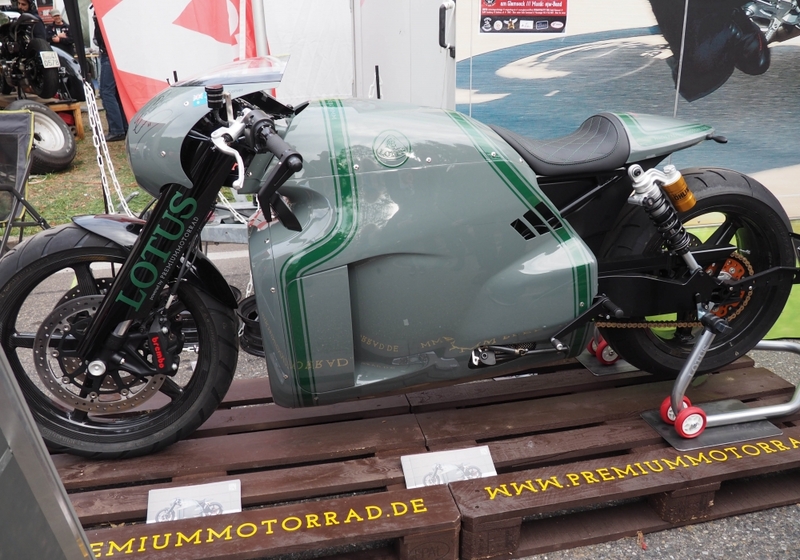 The Lotus CO1 motorcycle, presented by dealer: Premium Motorrädder and riden by Troy Corser in a special one on one sprint which he won against Francesca Gasper on a Kawasaki H2R. 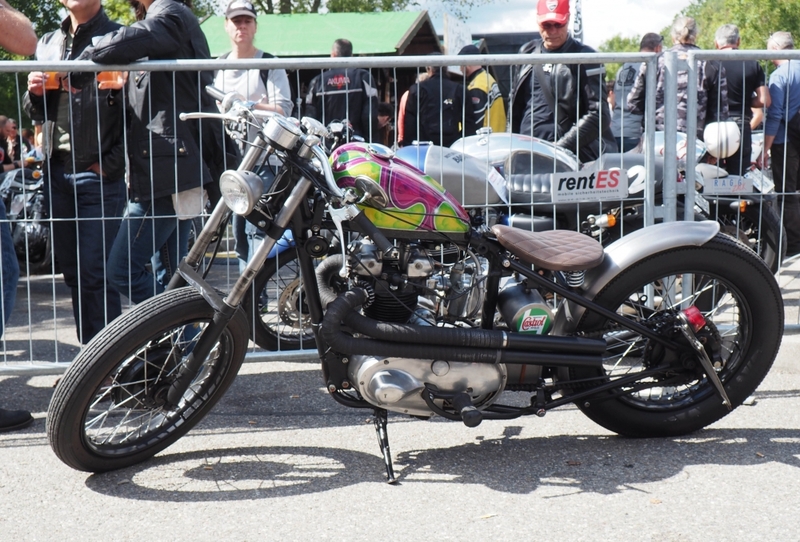 Triumph chopper also waiting in the entrants enclosure for the hardtail sprint to start. 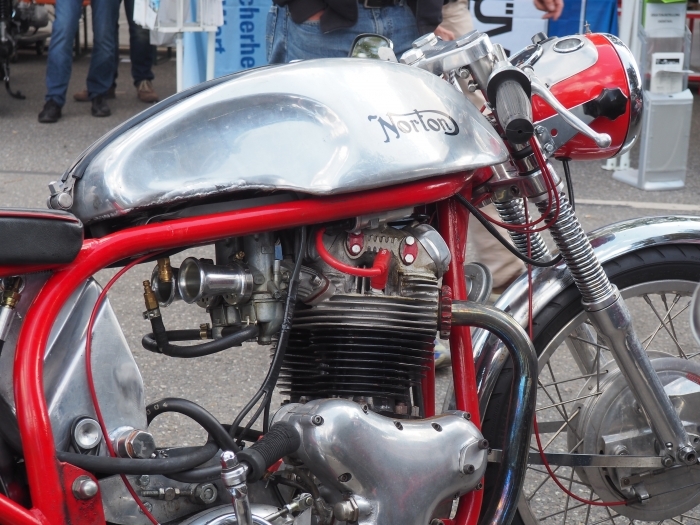 There are always a few real classic cafe racers to be seen including this nice period looking Norton Dominator which was actually for sale ! 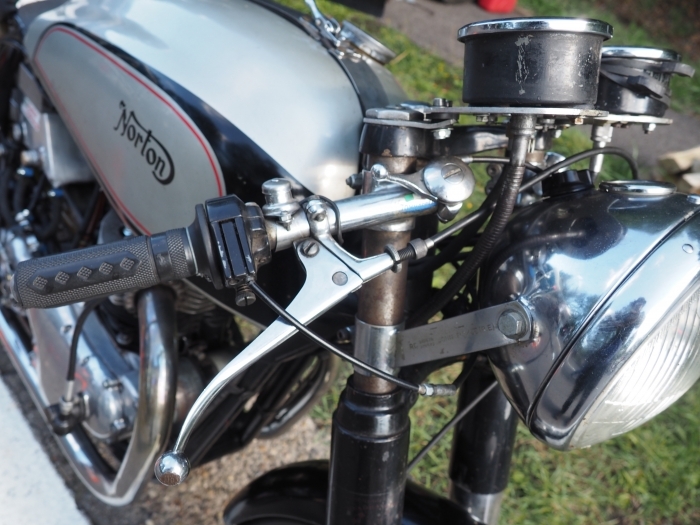 Norton Commando engine in a featherbed frame. 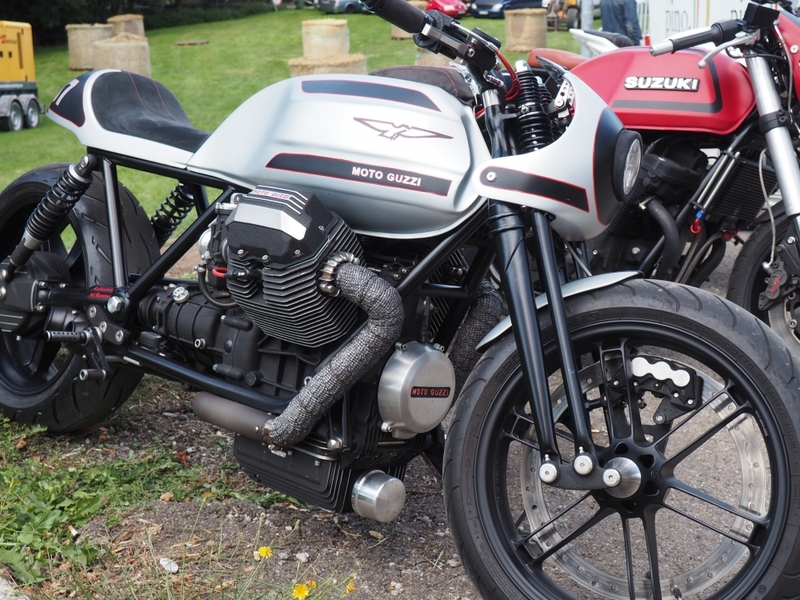 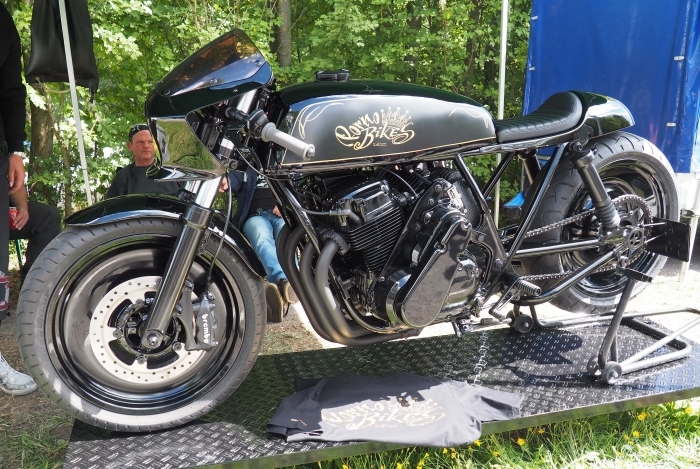 Honda CB750s are certainly in the 'classic' category now with plenty of beautifully prepared bikes turning up, especially here on the owners stand. More Honda 4s, tasteful cafe conversion on this CB550. 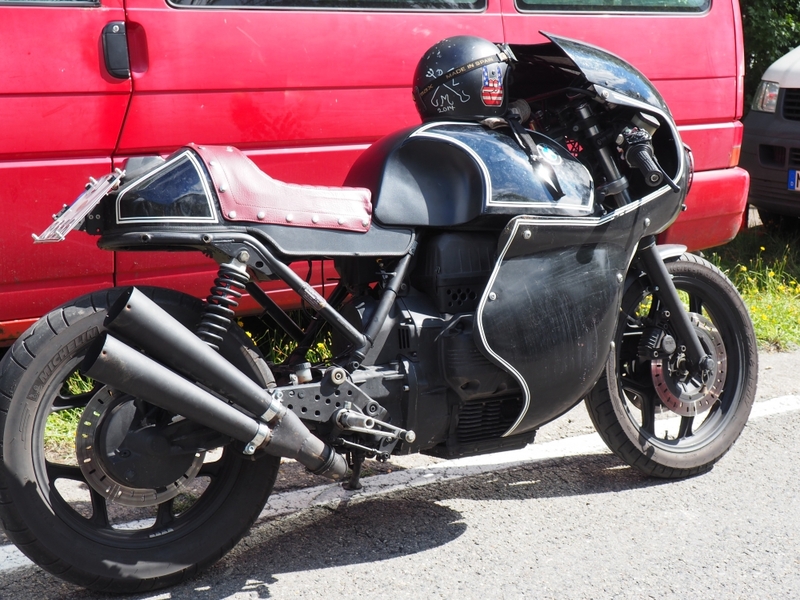 And even a CB125 modified to a road legal RC racer replica. 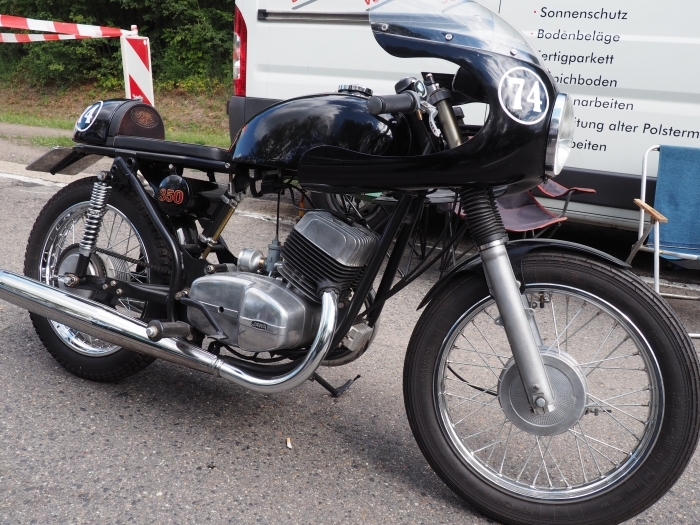 Moto Morinis are very rare to see in Germany so nice to find this unusually painted 3 1/2 Sport. 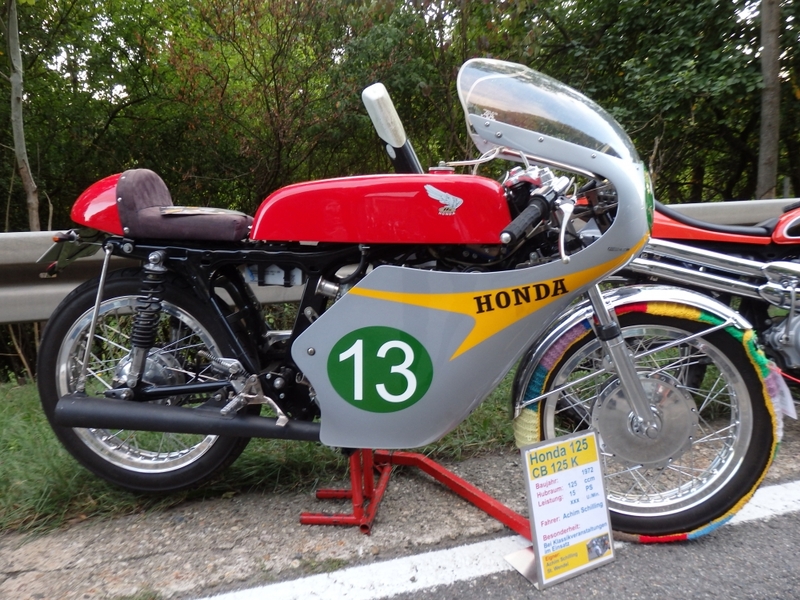 And one more which participated in the 'Classic' sprint. 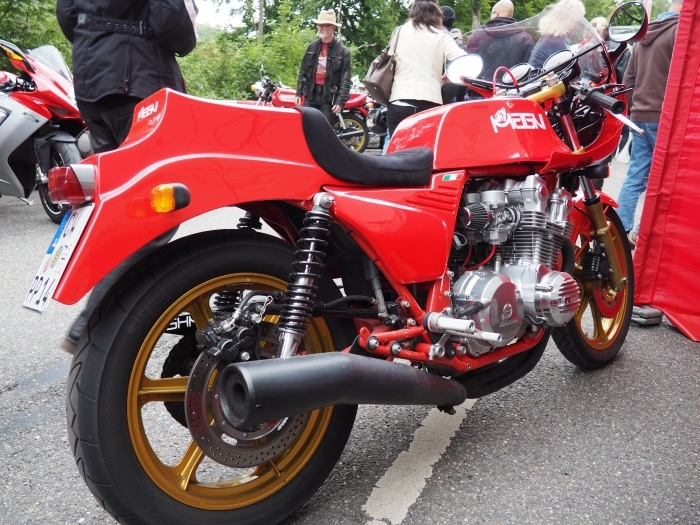 A chance to see a special bike up close for Natalie as she had never seen another TX500 or even XS500 except her own bikes back in Perth. 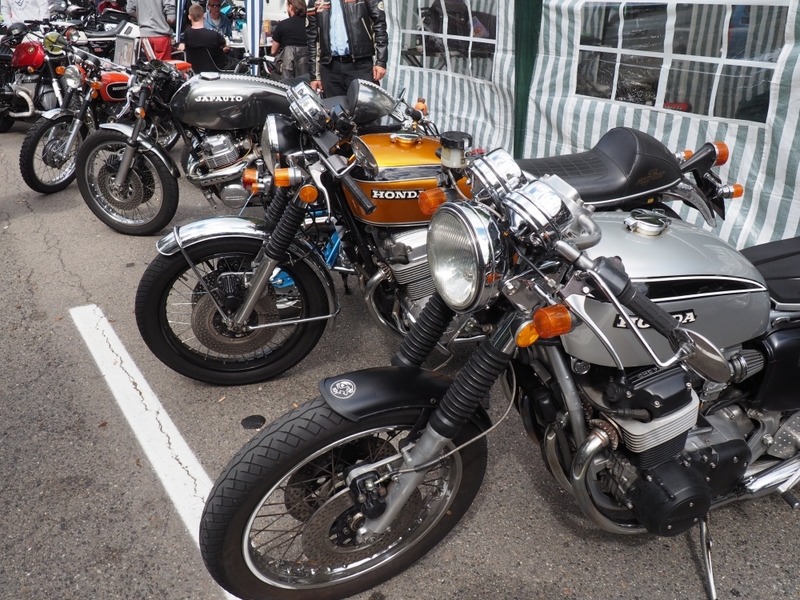 More oldies for sale among the thousands of visitors bikes parked along the roads leading to Glemseck. 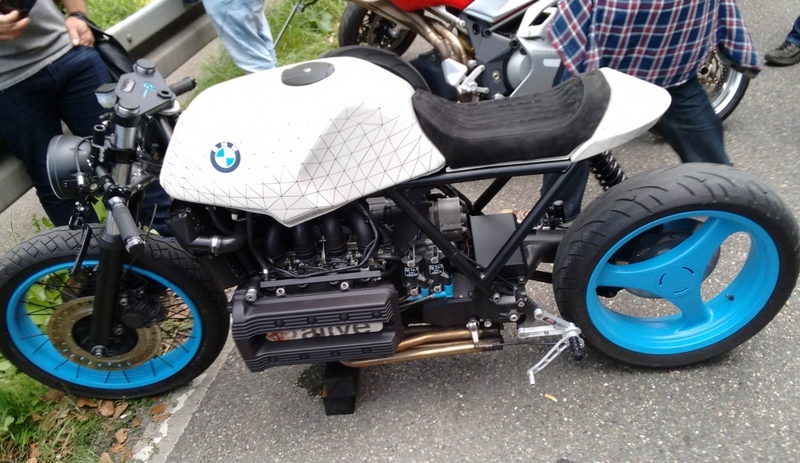 BMW K100s are getting trendy for customizers, probably because it is getting more difficult to find air cooled boxers for a reasonable price now. 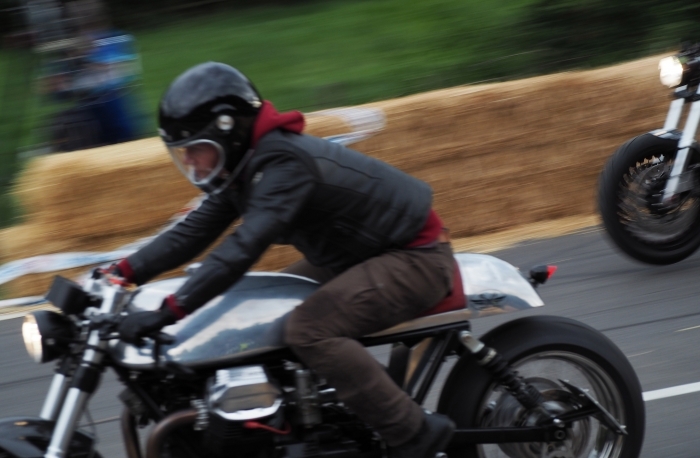 But where there's a will . .
especially if they turn out looking as good as this. 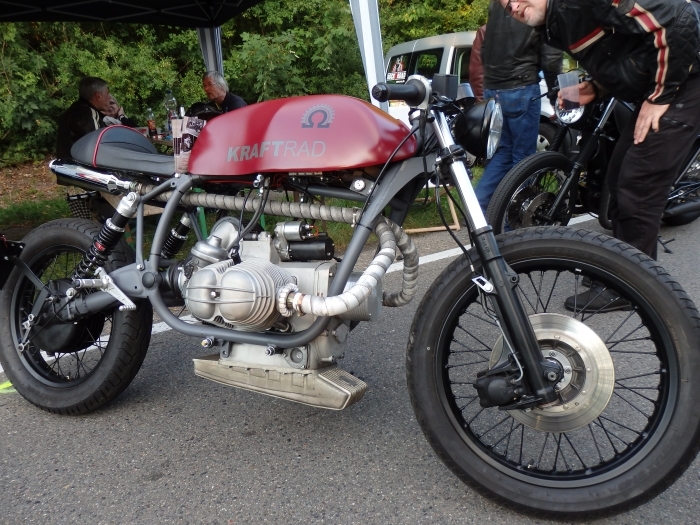 An even more professionally finished bike, including a supercharger. 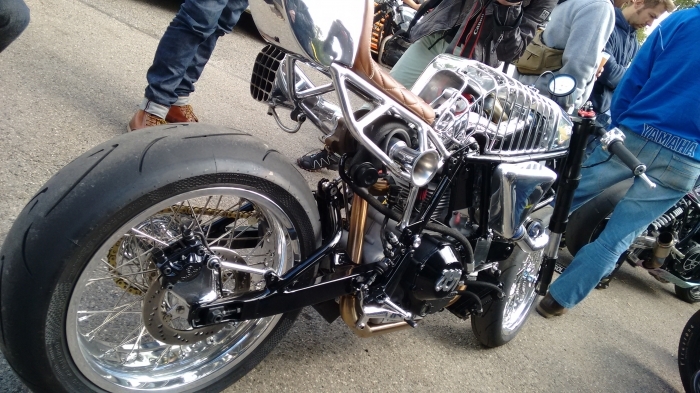 This Ducati has also benefitted with a supercharger, and some imaginative custom work. 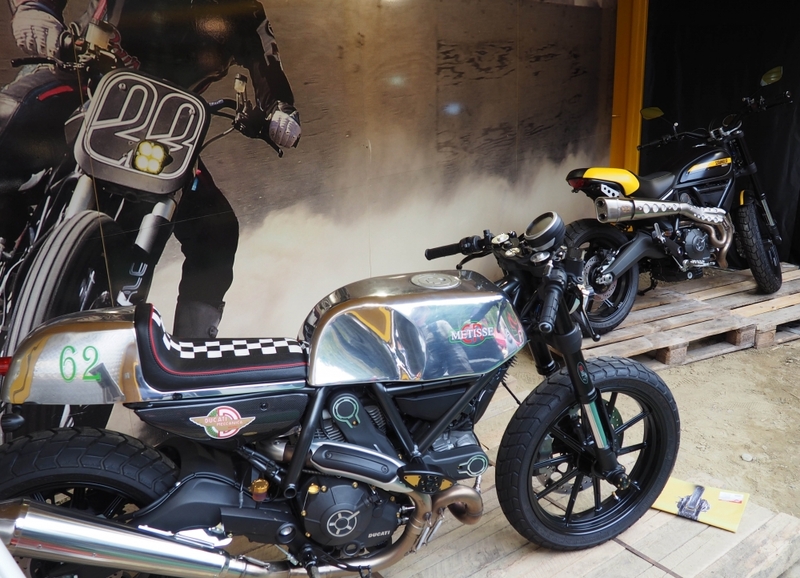 Ducati presented a Scrambler display complete with a few customized bikes, such as this Cafe version from 'Metisse'. 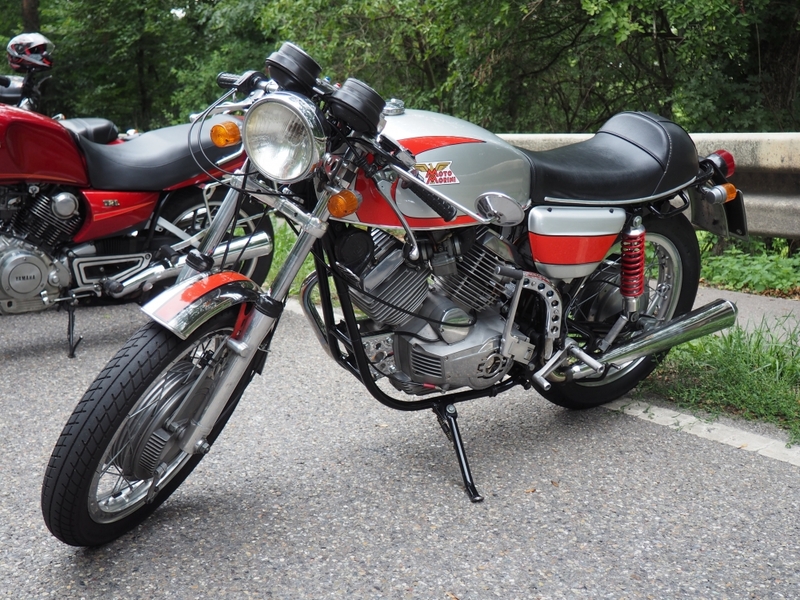 Always more surprises where ever you look, an exotic Magni Honda. 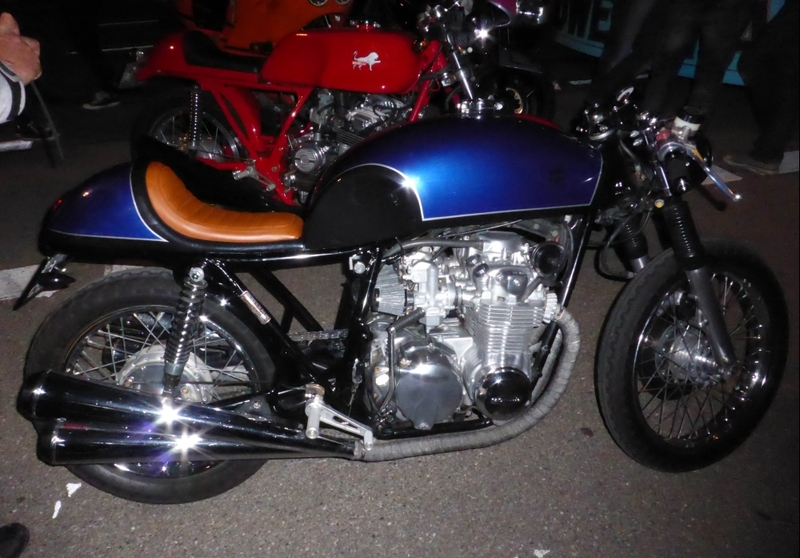 Cafe Jawa ! How much fun is that ? 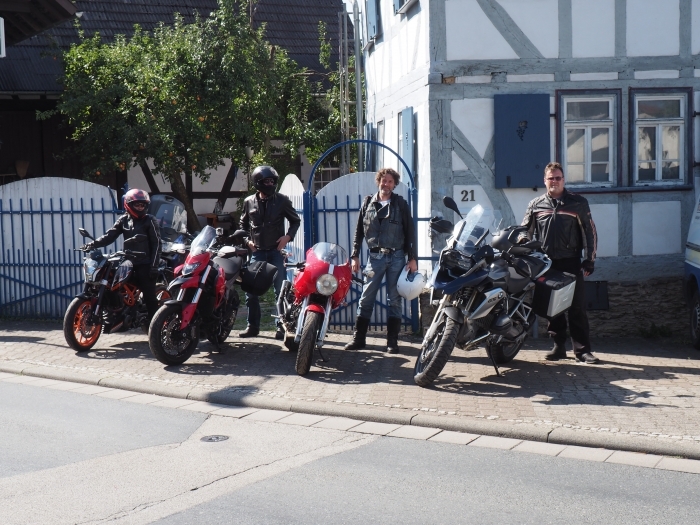 The dream team all the way from Australia to see Glemseck and enjoy a whole week of touring Germany, what could be better than that ?